The sixth type of Psalms is הללויה, Hallelujah, and it makes the connection between the sixth, which is Zeir Anpin and the seventh, Malchut. הללו – יה and לל and יהוה. The לל are the letters that built from Kaf and Vav and bring the power of connection from above to below. Also הלל – ו – יה, for those who understand Upper Three(Keter, Chokmah and Binah), Zeir Anpin, ADNY. The work to connect Zeir Anpin and Malchut is ours until the final redemption. Moses, as the Sefira of Da’at is the chariot to the central column from the upper level. The Erev Rav (Mix Multitude), from the side of Malchut saw that Moses is six sefirot above them and to block the connection they created a separation between him, the six and the seventh. That said in Exodus 32:1 “וירא העם כי בשש משה”. The word בשש is ב – שש, means in six and refers to Moses with the connection to the six Sefirot of Zeir Anpin. This verse reveals their intention to block the light from coming down. The Erev Rav created the Golden Calf, as a God for them from the lower level and to control matter. This created the separation between the six and the seven. 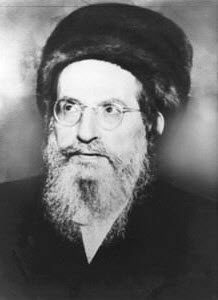 The Erev Rav does not want higher level connection; they are attached to the Israelites only for their own gain. If Moses brings the light in its final corrected form to the world they know that they can’t enjoy it. Their main connection is to matter. We are close to the end of the six millennia and there is a rise of negativity all over the world. Like when the darkness is deeper just before the light break so as we are now at year 5770, which is past the third quarter of the millennia and it considered to be the “evening” and darkness is coming down. This is the opportunity of the Erev Rav among the Israelites and the negativity around the world to pull everyone down and continue another exile far from the light. No matter if Redemption will come today, tomorrow, 8 years from now or 230 years we must keep the work. Every one of us should strengthen himself to be always with the light. This will come with the help of the Zohar that gives us this understanding and immunization from all negativity. This is the purpose of the Daily Zohar. Inject it to your soul and life, daily.